Our society today is scolded for being too out of touch with our surroundings. We love our iPads, our laptops, and our connection to the digital space. But just because we love our new technologies and live in a society that no longer stresses the need to interact with nature, does not mean that we have to abandon our natural environment. 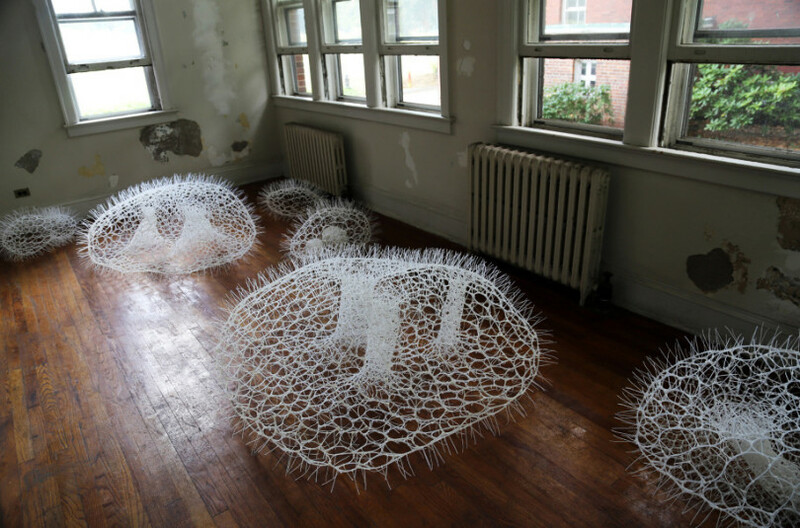 Sui Park, a Brooklyn interior architect and sculptor, expresses this idea through her recent project, Thought Bubbles. 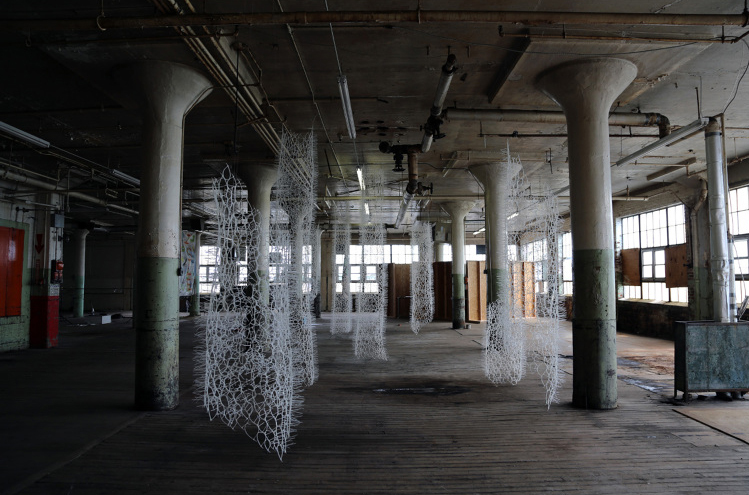 In this project, Park uses cable zip ties to create three-dimensional printed organic sculptures. 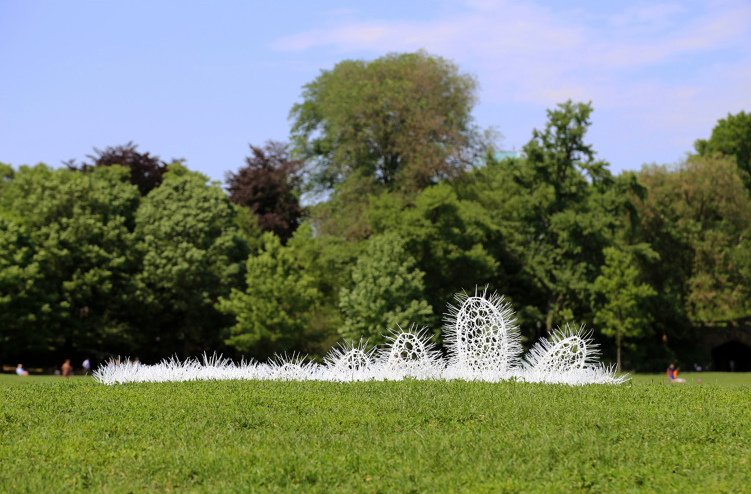 The sculptures resemble bulging amoebas. They’re organic, twisting, and fluctuating shapes constructed in translucent material that give off a mystical feel. 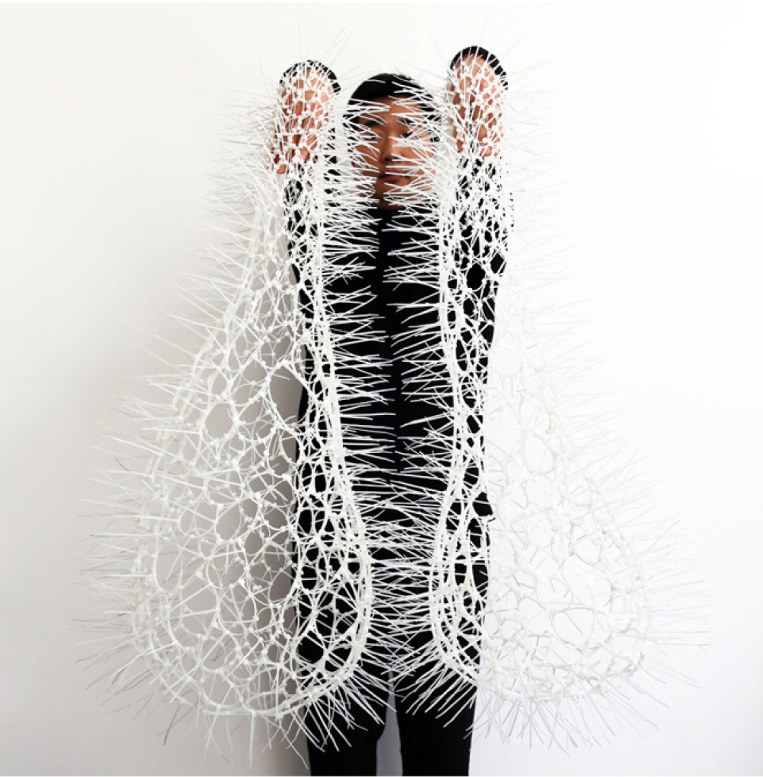 By using cable zip ties as her primary fabric, Park asks us to question the relationship between nature and our mass-producing mindset. Thought Bubbles is exhibited inside what looks to be a home, and intermingling these organic sculptures with everyday life causes the viewer to step back and understand the roots and continuousness of our natural world. Through Thought Bubbles along with other projects, Park allows the relationship with our physical environment to be seen as something natural and necessary.